Gianluca Scipioni is a graduate of the Conservatory of Rome. He has also studied at the Music School of Fiesole and in Chicago and New York City. His teachers include Gianni Mazzoni, Arnold Jacobs, Joseph Alessi, Luciano Leonardi, Rex Martin, and Andrea Conti. He obtained a diploma in ‘virtuosity’ at the Conservatory of Lausanne with Roger Bobo. In 1993, he was awarded the second prize in the international competition “Rovere d’Oro” (IM). 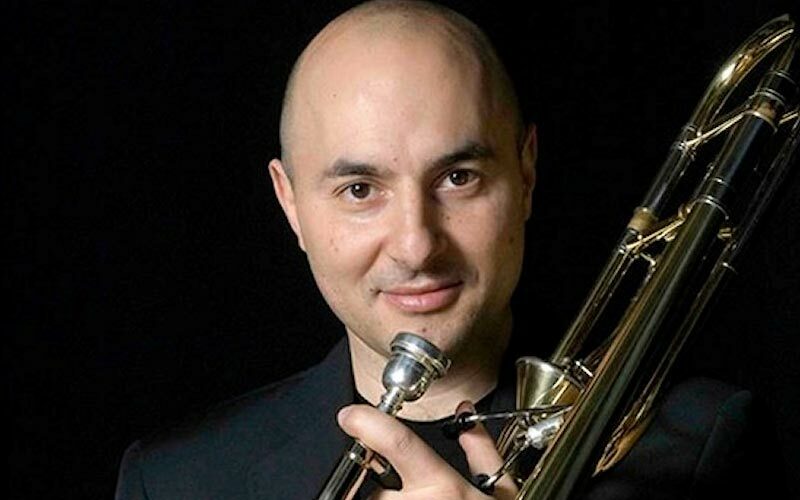 Gianluca has worked regularly as principal trombonist with the Orchestra of the Teatro alla Scala in Milan, the Symphony Orchestra of RAI in Turin, and Santa Cecilia Rome. Currently, he is principal trombonist of the Teatro Regio in Turin. He regularly gives master classes throughout Europe and is a teacher of the second grade level of trombone at the institute drew “A. Peri ” in Reggio Emilia.